There's not really much to say about fried eggs with ramps and morels sautéed in butter (and a little bacon fat), other than that, with the exception perhaps of a perfectly fresh everything bagel with cream cheese, it's my favorite breakfast. Heat bacon along with 1 tablespoon (15ml) water in a medium cast iron or stainless steel skillet over medium heat, stirring, until water evaporates, bacon fat renders, and bacon is completely crisp, about 5 minutes. Using a slotted spoon, transfer bacon to a bowl and set aside. Return skillet to medium-high heat until lightly smoking. Add morels and cook, stirring and tossing frequently, until barely starting to brown, about 2 minutes. Add 1 tablespoon (15g) butter and cook, stirring, until morels are nicely browned but not burnt, 1 to 2 minutes longer. Add ramps and cook, stirring and tossing frequently, until whites are browned and tender and greens are crisp in spots, about 2 minutes. Add 2 tablespoons (30ml) water, soy sauce, lemon juice, and remaining tablespoon butter. Remove from heat and set aside. 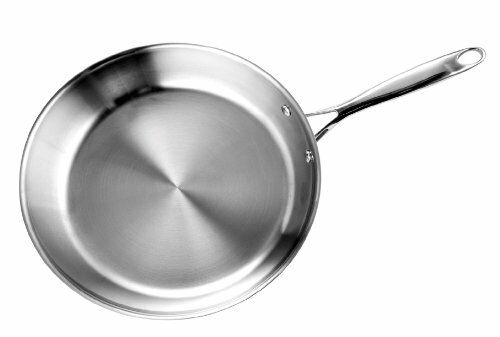 Heat canola oil in a medium nonstick or well-seasoned cast iron skillet over medium-high heat until shimmering. Add eggs, season with salt and pepper, and cook, occasionally using a spoon to baste hot oil over the whites to help them cook, until whites are set, edges are crisp, and yolk is still runny. Place a slice of toast on each of two plates. Top each with a fried egg. Return morel/ramp mixture to high heat and stir in bacon. Cook over high heat until liquid reduces to a creamy, emulsified sauce. Season to taste with salt and pepper. Spoon morels and ramps over and around fried eggs. Sprinkle with chives and serve.